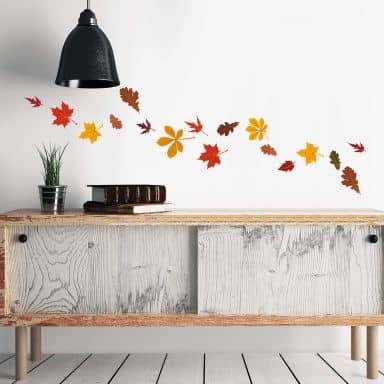 Decorations with flowers, leaves and trees together with other floral designs have always been very popular. 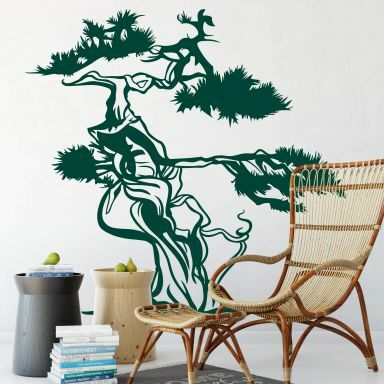 Plants symbolize life, freshness and warm seasons. 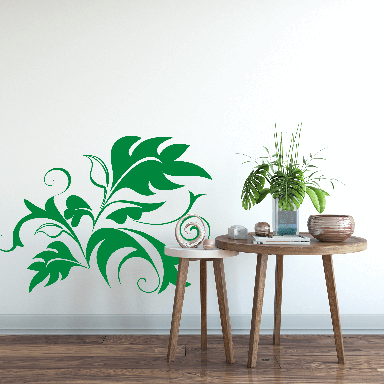 Now instead of real plants you can use our amazing wall stickers! 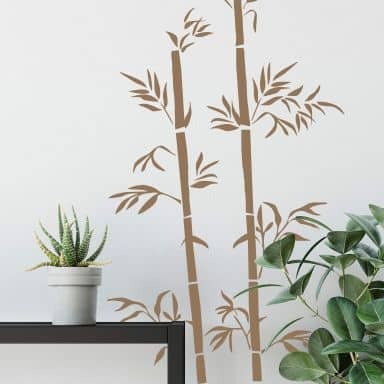 No watering, no fertilizing, no wilting - the use of wall stickers is much easier, and they are a lovely addition to every house. 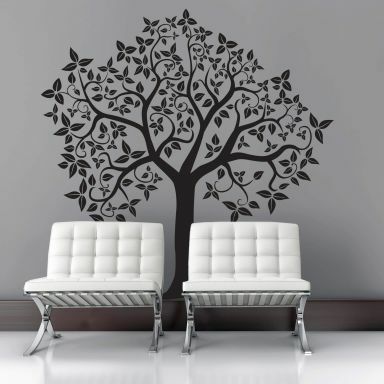 Exceptional blossoms in form of wall decals add elegance to all smooth surfaces. 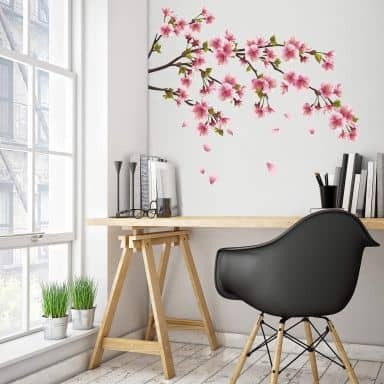 Golden hibiscus flowers on the bathroom mirror, cherry blossoms in the kitchen or flowers for the little children - your creativity is the limit! 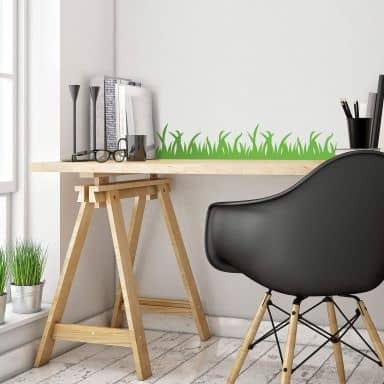 With do-it-yourself plants you can adjust leaves and colours to your own taste, and the floral wall stickers with subtle butterflies or hummingbirds create an elegant atmosphere in every room. 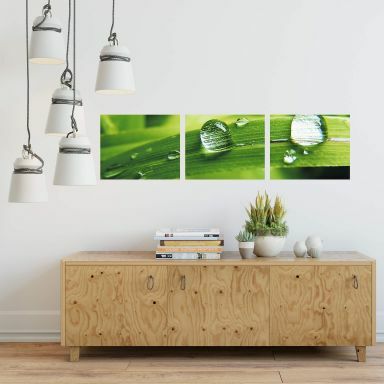 The variety of wall-art.com designs bring life and color on the wall. Only the pure nature offers a larger selection of plants! Choose from the almost infinite number of possibilities and find the most beautiful floral design - you will enjoy it. The sunflowers add comfort to your room. 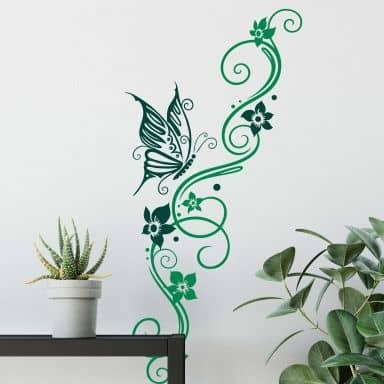 A lovely decorative element featuring a hummingbird. Flower ornament with a butterfly. 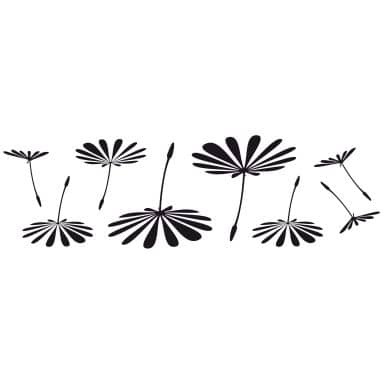 Choose your favourite dandelion design! Beautiful ornament with two birds. 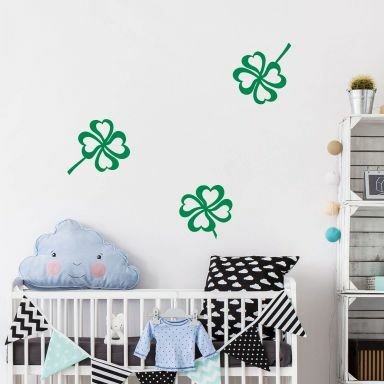 This design sticks the luck to your wall! Invite the summer into your house. 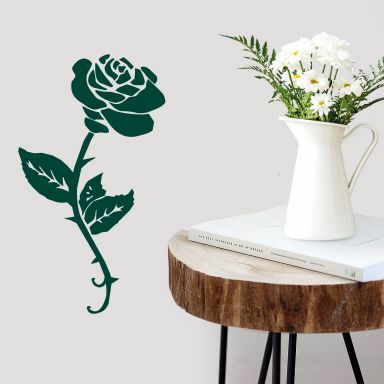 This floral motif will bring a touch of elegance to your wall. 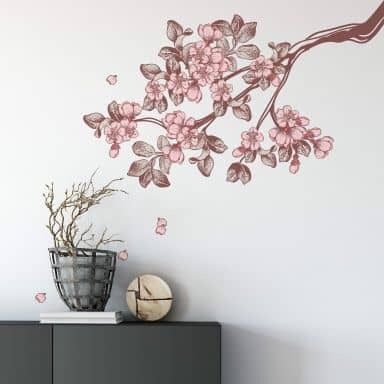 Make your home more beutiful with a romantic cherry motif! 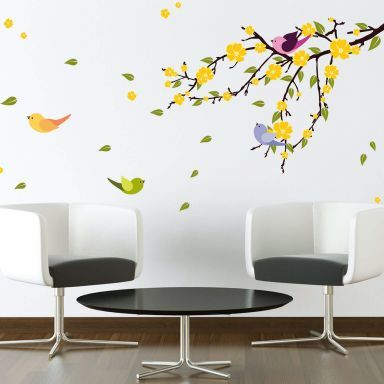 Romantic decoration with two sparrows, 35 colours to choose from! Two beautiful dandelions in fresh green colour. Photo-realistic macro lense picture in triptych style. 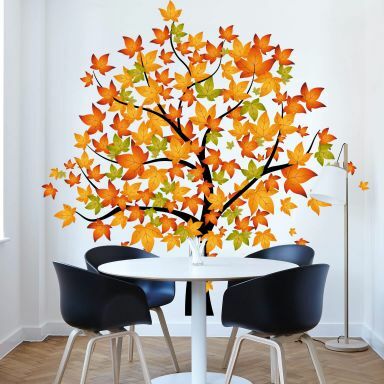 A beautiful nature spectacle for the wall. 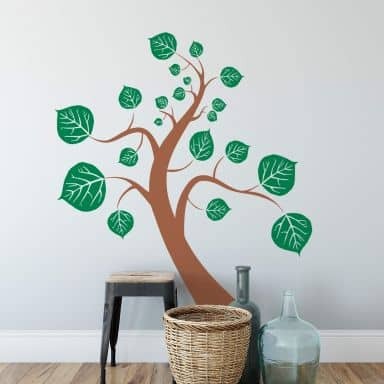 Natural branch right on your wall.